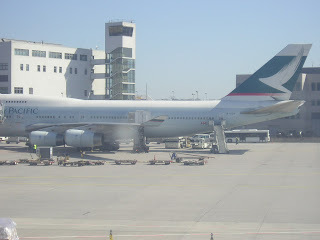 Cathay Pacific has officially announced that it shall be increasing its flights to YYZ-Toronto and PER-Perth from the on set of the IATA Winter 2010 season i.e. Oct 31st. Operations to YYZ are being increased from the current 10 weekly to 12 weekly nonstop with all flights being flown using a Boeing 777-300ER. On the other hand, services to PER are being increased from daily A 333s to 10 weekly nonstop flights using an A 333 nine times per week + an A 343 once a week. CX too confirmed that has signed a LOI with Airbus for 30 A 350-900s and shall be exercising options to convert 6 Boeing 777-300ERs into firm orders as the carrier continues to implement its on going fleet replacement strategy. These A 359s are meant to replace CX's oldest A 333s and its entire A 343 + B 772A fleet. When the order is officially on announced on Airbus's order books, it is expected to consist for many more A 359s as the number of planes it will be replacing total 60+ in the A 359 size category. ADD - new 5 weekly nonstop flights to be launched effective Dec 6th using an A 320. IFN - new 3 weekly flights to be operated using an E70. BSR - new 4 weekly flights to be operated using an E70. KTM - frequencies increased from 9 to 11 weekly nonstop flights using an A 320. KUL - frequencies increased from 5 weekly to daily nonstop flights using a mixture of A 332s and A 343s. Ethiopian Airlines has officially confirmed that it shall be launching new nonstop flights to IAD-Washington DC from Dec 15th 2010 onwards as well as increasing frequencies on this flagship route of theirs. ET will be utilizing its brand new Boeing 777-200LR for this flight which will accommodate 321 passengers in a 2 class configuration i.e. 34 business class + 287 economy class. Services to IAD are being increased from 6 weekly to daily flights with the outbound flight from ADD making a technical stopover in FCO-Rome but IAD-ADD will be operates nonstop. The flying time between IAD and ADD is 12 hours 30 minutes. Air India has officially announced that it will be increasing capacity to CDG-Paris from the on set of the IATA Winter 2010 season i.e. Oct 31st. Currently, AI operates 3 weekly nonstop flights from its new DEL hub using a 238 seater Boeing 777-200LR. However from Oct 31st, capacity shall be increased by 44% as a 342 seater Boeing 777-300ER will be used to operate this service. The reason for the capacity increase AI confirmed is to aggressively target 6th freedom transit traffic bound to Bangkok and Kathmandu via DEL for which good connections are on offer in both directions. AI too confirmed via an earlier press release, that it does have clear cut intentions of increasing CDG-DEL to a daily service within the next year. IST - capacity increased to 4 weekly nonstop terminator services using a Boeing 777-200 instead of operating via Dubai. PVG - frequencies reduced from 5 to 4 times daily. SFO - frequencies increased from 10 to 12 weekly nonstop flights using a B 773ER. SEA - frequencies increased from 4 to 5 weekly nonstop flights using a B 744. HND - new double daily nonstop flights to be launched using an A 332. NRT - capacity increased to daily B 773ER + daily A 332. JKT - capacity increased to 6 weekly nonstop flights using a B 744 Combi. Etihad Airways has officially announced that it will be changing its business model on many low yielding regional routes that are within a 5 hour flying radius of its Abu Dhabi home base. It has revealed that it will be changing the configuration of 10 of its 15 Airbus A 320-200s to an all economy class layout seating 162 passengers offering a seat pitch of 32 inches. Initially 2 aircraft by October 31st will be reconfigured and shall be used on flights to Damascus, Colombo, Calicut and Trivandrum where as in the future services to Cochin, Chennai, Peshawar, Amman, Athens and Beirut too will see this product. EY's CEO Mr Hogan stated that this is a direct response to Fly Dubai who has poached a lot of market share to many cities which has caused some concern not only amongst EY but also amongst all GCC carriers. In total, EY has ordered 20 A 320s hence half of this fleet will get the all economy configuration. Emirates has officially confirmed that it shall be increasing capacity on its route to LAD-Luanda, Angola from Nov 1st 2010. Currently, EK operates 3 times per week nonstop from Dubai using a 3 class A 330-200, however from November it shall be using the larger Boeing 777-200ER to operate this route due to the huge cargo and premium class demand that it has been experiencing on this sector. Lufthansa has officially announced that it will be increasing frequencies to EWR-Newark, USA for the IATA Winter 2010 season by adding a second daily nonstop service. Currently, LH only operate a daily flight on the FRA-EWR route using an A 346 but ever since it has grown in stature as a major Star Alliance hub due to Continental Airlines being based there. Both of LH's FRA-EWR daily flights shall be operated using an A 340-300. Qatar Airways has officially confirmed that it will be increasing its flights to DAR-Dar Es Salaam, Tanzania from January 2nd 2011. Currently, QR operate a daily nonstop flight from DOH to DAR, however from January frequencies are being increased to 11 weekly services using an A 320. Japan Airlines has officially announced that it will be increasing its flights to Delhi, India from the on set of the IATA Winter 2010 season. Currently JAL operates a 3 weekly nonstop service using a Boeing 777-200ER however, from Nov 1st an additional 4th weekly nonstop service will be initiated using the same aircraft type. LAX- frequencies reduced from triple daily B 744s to double daily services using the same aircraft type. EWR - capacity increased to triple daily B 772ERs. 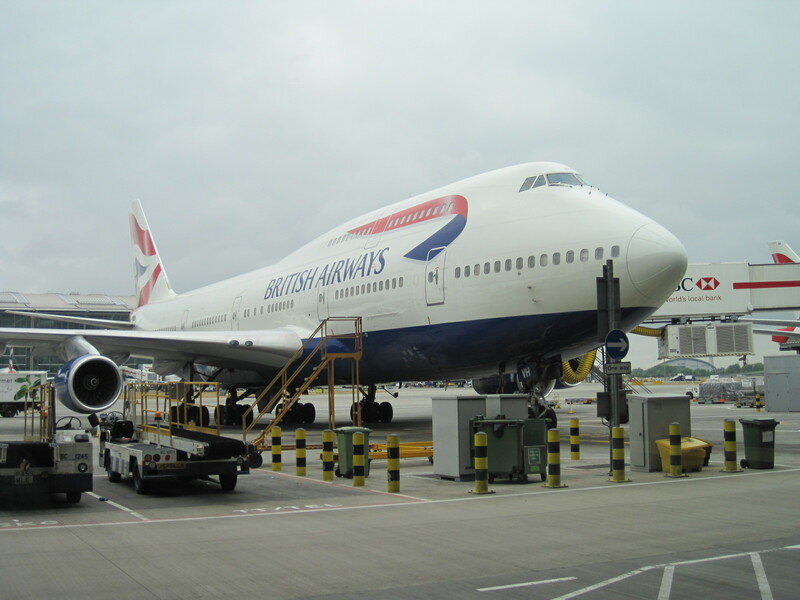 JFK - frequencies increased to 48 times per week from LHR using a B 744 36 times per week + 12 weekly B 772ERs. 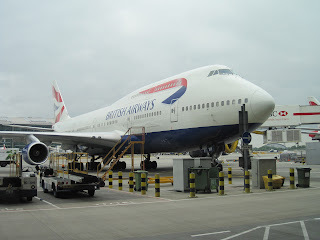 Virgin Atlantic has officially announced that it will be increasing capacity to Delhi, India from its London Heathrow base from the on set of the Summer 2011 season i.e. March 27th. 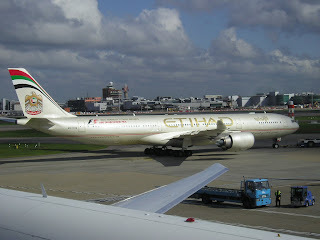 Currently, it operates a daily nonstop service using an Airbus a 340-300 however from March 27th, a larger Airbus A 340-600 shall be used by the carrier to fly the route on a daily basis. DEL/LHR – frequencies increased from 10 weekly B 77Ws to double daily nonstop using a B 77W + B 77L each daily. Flights shall arrive into LHR at 1330 and 1855 with departures being at 1330 and 2130 respectively. DEL/ORD – daily nonstop flights to be operated using a B 77L. BOM/EWR - daily nonstop flights to be operated using a B 77L. DEL/FRA – daily ‘day light’ terminator flight to be operated using a B 77L. This will be the only India-FRA service operated by the carrier as it is abolishing its scissors hub at FRA airport from Oct 31st. SYD - capacity increased to double daily A 380s + double daily B 772ERs. KIX - frequencies increased from daily to 10 weekly nonstop flights using an A 333 for all flights. DAC - capacity increased from daily B 772As to daily A 333s. BKK - capacity increased from 4 daily B 772As to 4 daily A 333s which seat 19 more passengers per flight. AMD - capacity increased from 2 weekly B 772As to 2 weekly A 333s. LAX - all business class A 345 operated flight sees frequencies increased from 5 weekly to daily nonstop. DME/IAH - frequencies increased from 5 weekly to daily flights using a B 773ER. Qatar Airways has officially revealed that it will be reducing capacity on its Singapore-Bali route from Jan 1st 2011 onwards. Currently, QR operates this service on a daily basis using a 335 seater B 777-300ER, however from the new year it will be using a smaller 259 seater B 777-200LR three times per week along side the B 773ER four times per week. This translates into a 24% reduction by QR on this sector. LIM - capacity increased from daily B 772ER to 3 weekly B 773ER + 4 weekly B 772ER. SFO - capacity increased from daily B 773ER to daily B 744 from June 26th. Oman Air has officially announced few changes to its Indian subcontinent network for the IATA Winter 2010 season. Services to Bangalore are being increased from 5 to 6 weekly nonstop flights where as flights to Chittagong are also being increased from 5 weekly to daily nonstop flights. BLR will be served with a B 737-700 where as CGP is operated with a B 738. Fly Dubai has officially announced that it will be increasing its flights to Bahrain and Muscat from Nov 1st 2010 onwards. Both cities will see frequencies lifted from double daily to triple daily flights using a 189 seater B 738X. Spice Jet under a new management team has confirmed to the Indian media that it shall be ordering 30 new Boeing 737-800s which shall be delivered to the carrier from 2014 onwards. This will make the total B 738 fleet number 58 aircraft. Finnair has officially announced that it shall be leasing into its fleet 2 used Airbus A 340-300s from April 2011 as the carrier looks to further expand its highly successful long haul services to Southeast Asia from its HEL hub. The aircraft will come from ILFC and are expected to be ex Virgin Atlantic aircraft as the latter is receiving few A 333s from next summer which are replacing the A 343s on trans-atlantic services.